Welcome to the Snow Trippin blog! Paul & Danielle have been living and working in ski resorts around Europe on and off for 5 years and both have a huge passion for the mountains, food, and providing exceptional chalet holidays from the best mountains (our opinion!) whilst serving the best food (our guests opinions!). Danielle has worked in professional kitchens and will be mostly responsible for the culinary affairs in the chalet, although Paul does have his own signature dishes! If you’d like a little more information on the food you’ll experience in the chalet then please take a look at our Food & Drinks page on our website. Paul has been all over the mountains and will likely give you his recommendations if you’d like to know the best slopes & snow conditions that week. We rather like the Three Valleys, and especially Saint Martin de Bellevile, but will always offer impartial advice as to whether we or our location are a good fit for you and your group. 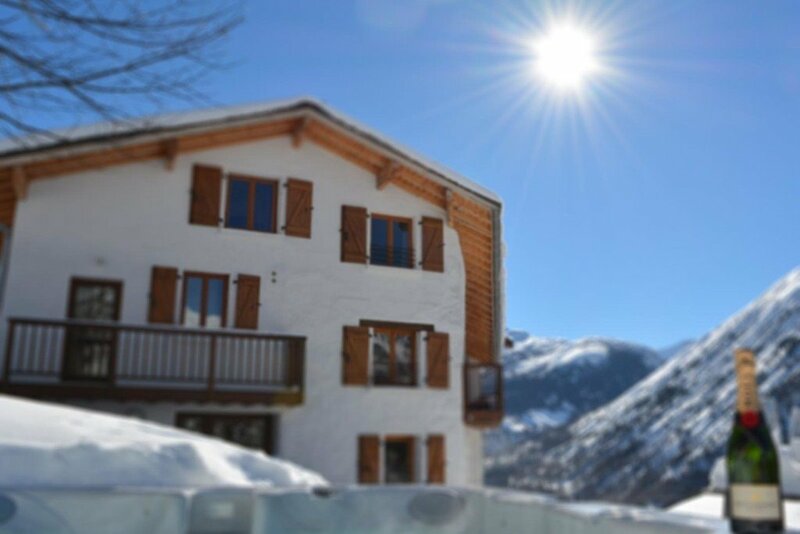 If you are considering staying in the Three Valleys and are wondering if one of our ski chalet holidays might be right for you then please don’t hesitate to get in touch. We are always happy to impart our knowledge and experiences of the area so you can see if this is the right place for your next ski trip. We look after everything for you, from booking to cooking it will be our faces you see to welcome you into the chalet with open arms, and to send you off home again, tears in eyes! It’s us you will talk to on the phone, it’s us that answer your emails, and once in resort we will be your chalet hosts, your chauffeurs and your feeders! From cooked breakfasts to afternoon tea, aperitifs to digestifs, we’ll be the ones preparing all of your meals (except lunch, although I’m sure we can help out on this). And if you’d like our recommendations for bars and restaurants out on the mountain or here in town then just ask, we’ve eaten at most of them! So that’s a little about us, we can’t wait to have you out to the chalet so we can hear more about you!